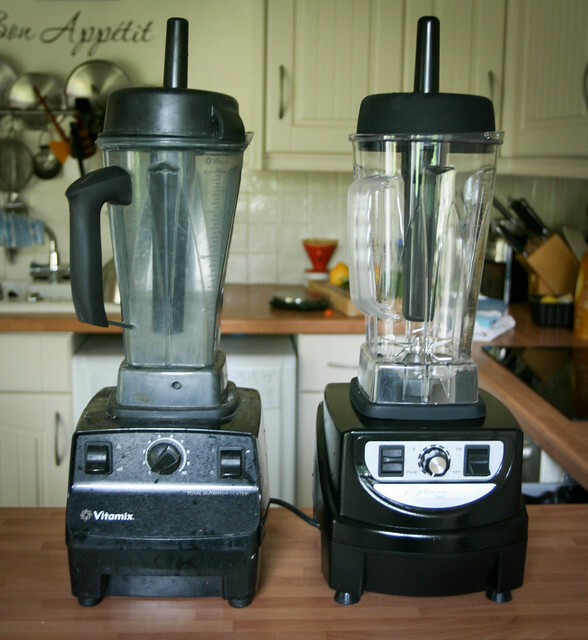 As many of you know, I’ve been a devoted user of the Vitamix for years, so when the opportunity came along to try out the Froothie Optimum 9400 Blender I felt a little bit like I was cheating on an old and very dear friend. But I decided to have an open mind and see what this new kid on the block could do. A few weeks ago I stashed away my Vitamix and replaced it with the Froothie to see how it worked for my daily blending needs. Daily? That’s right. I’m a pretty heavy blender user – I make smoothies for breakfast every day and often (at least once per week) use the blender for other tasks such as pureed soups, custard for ice cream, almond milk, cashew gravy and on special occasions, raw raspberry cheesecake. I need a blender that can withstand my serious usage and heavy pureeing needs. Over the past three weeks I’ve been using the Froothie for those daily smoothies, and have also used it to make oat milk and banana “ice cream”. I have yet to try more interesting tasks such as custard or hot soups, but those items will certainly have their chance because I don’t intend to stop using the Froothie anytime soon. So far it’s been a stellar performer and has performed at least as well as the Vitamix. If it excels in one area I’d say it’s noise: the Froothie is noticeably quieter than my Vitamix. I also like the clear jug. Perhaps one of the reasons I haven’t missed my Vitamix is because the Froothie is almost identical in terms of looks and function. Under the hood sees a few benefits, too. The Optimum 9400 has a 2,238 Watt motor (compared to Vitamix’s 1,492), a 44,000 rpm speed (vs 37,000), a 6 blade assembly (vs 4) and one jug that works for both wet and dry blending (all of my flour- and spice-grinding dreams come true). At £329, it’s also cheaper than Vitamix which starts at about £465. Yes, it’s still expensive, but having spent this kind of money on a high power blender myself, I can tell you that I’ve never regretted my purchase. A good blender is enabling. You could use a cheaper blender but you wouldn’t get the same silky smooth results, and you wouldn’t be able to blitz up great stuff like kale, broccoli and beetroot into perfectly smooth smoothies. 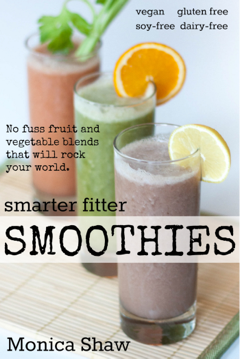 At best, you might get smoothie salsa! A good blender also enables you to do fun things like make your own nut milk, nut butters, flour, cashew cheese and other things that are only achievable with a good motor and some strong blades. That word “enabling” brings me to another surprise plus I’ve found with the Optimum 9400. The blender comes with a quaint little booklet called “Deliciously Raw” full of recipes for raw smoothies, soups, dressings, nut cheeses and desserts. The book is written by Carmella Soleil of the Sunny Raw Kitchen blog and the stories she’s included with her recipes are down to earth and really inspiring. I especially liked her discovery story of raw nut cheese, having been unimpressed early on, but then having her interest “rekindled” by Chad Sarno’s Cashew Cheese Au Poivre. I just love origin stories like these and it really helps put a commercial product like a blender in perspective. It also really makes me want to have a go at making raw cheeses – particularly the nacho “cheeze” to have with raw tostadas (with raw corn chips made in the food dehydrator). All this raw healthy vegan stuff certainly is hugely appliance heavy, and for that I’m often in two minds about whether some of this stuff is the way forward. Regardless, I know from experience that smoothies and juices have had a positive impact on my own health and wellbeing, so I’m willing to let these gadgets into my life. And like most gadgets, it’s better to get something of quality, that works well, and will last. So far the Optimum 9400 is ticking all of those boxes. Speaking of appliances, I’m looking forward to trying out the Froothie Slow Juicer next, particularly for its bonus abilities as a nut butter machine and a tofu maker. Stay tuned! You can test-drive any of Froothie’s machines with a 30-day money-back guarantee. Check out the Froothie website to see their full line of blenders and juicers including the Optimum 9400 and the Slow Juicer. 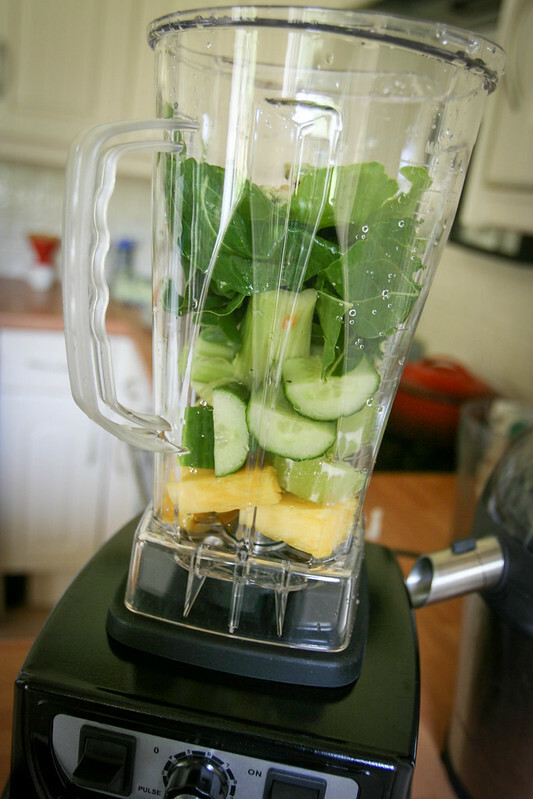 Cheating on your Vitamix! Oh my! It looks like a potentially great option–I guess the major question would be how well it holds up over time. Sounds like a great cheaper option though! I love my Froothie too, with the quietness a huge bonus as I have an open-plan downstairs. I am currently doing head-to-head challenges a la Froothie TV videos (but not videoing them) and so far so good for the Froothie. The big difference is not between Froothie and Vitamix but between Nutribullet and Froothie. I know Nutribullets are very popular but Froothie is such a better VFM immediately and in the long term. I love my Optimum 9400 and as a baking blogger it has really challenged me to come up with healthier alternative sweet treats. I look forward to your recipes. I just got mine before going away for over 2 weeks so only used it once but loved how powerful and fast it blends. 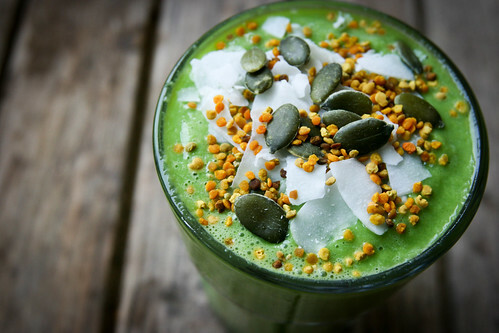 You are a smoothie expert so I shall be looking to you for inspiration!